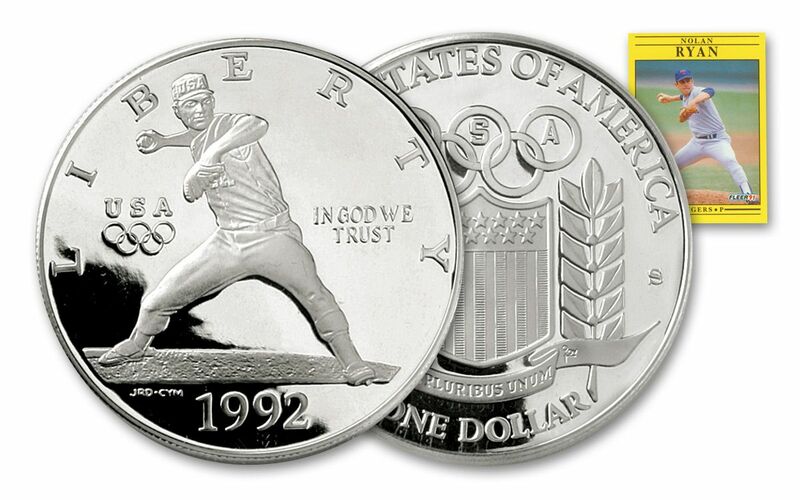 Is This the 1992 "Nolan Ryan" Silver Dollar Proof? 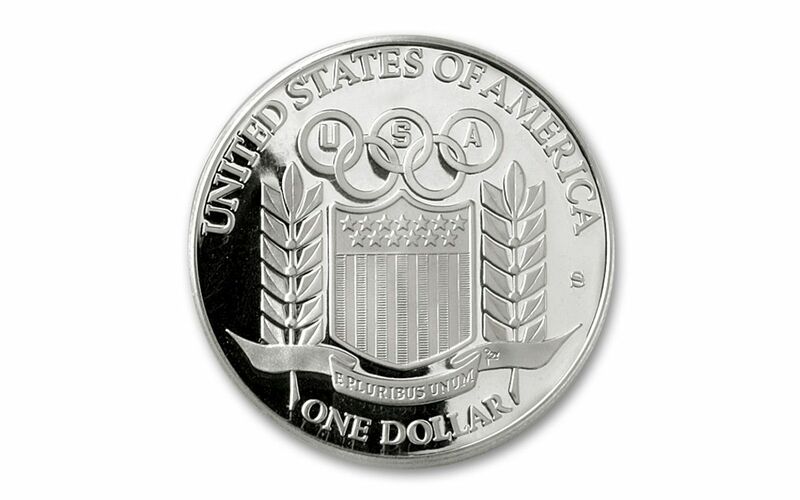 When this 1992 United States Mint Olympic 90% Fine Silver Dollar Proof was released, a hot controversy exploded. 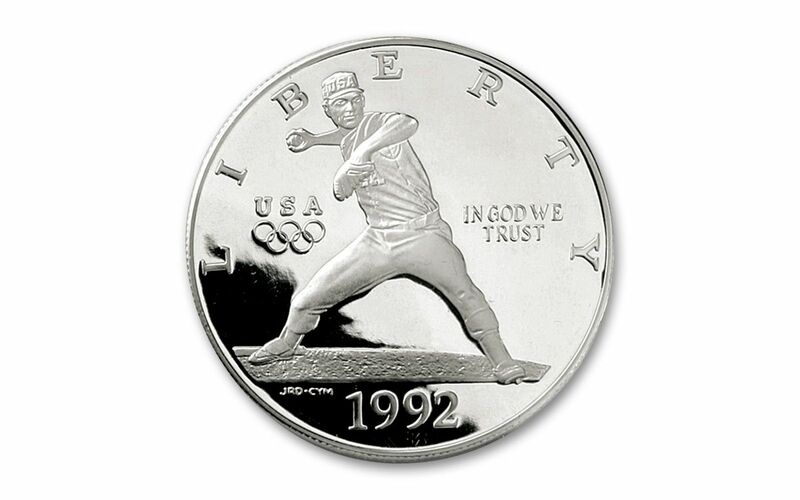 You see, it’s against an 1866 Act of Congress to depict a living person on a U.S. coin, and the design on this silver dollar is a near-exact copy of the image of legendary Baseball Hall of Fame Pitcher Nolan Ryan from his 1991 Fleer baseball card. The mint denies that it's Ryan, but these silver dollars became an instant collectible and they’re hard to find today. Each coin is struck at the San Francisco Mint and shows shimmering proof surfaces and frosty designs. 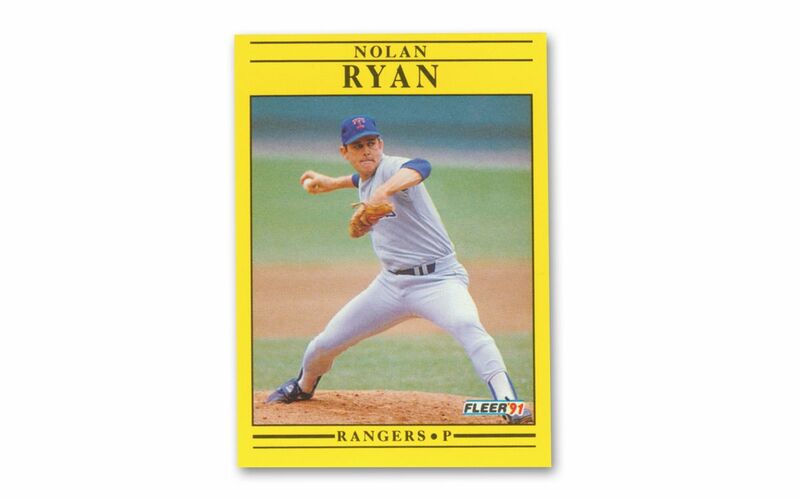 You'll also receive Ryan's 1991 Fleer baseball card to compare for yourself. Don’t strike out -- get yours now!